While an all-out battle may be the only way to truly determine which country has the strongest military, hopefully, we’ll never have to find out. Battle aside, how does someone determine who has the most powerful military in the world? 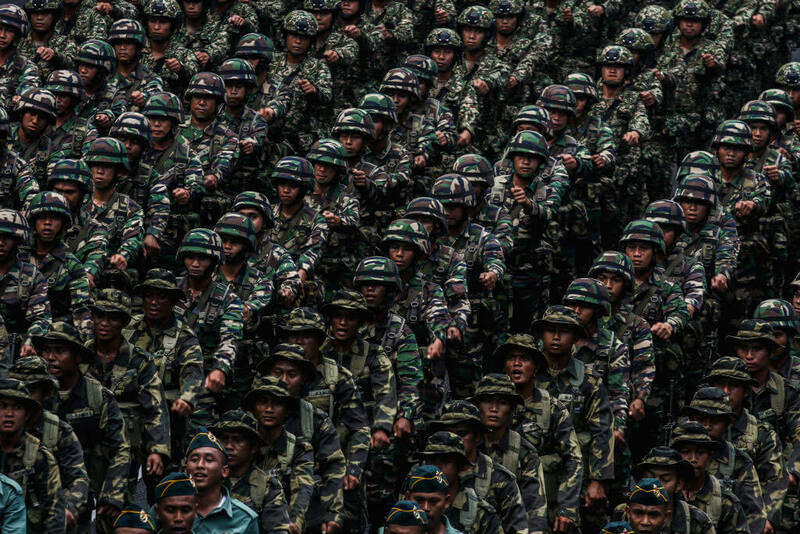 Is it the number of soldiers in a country’s militia? Or the types of technology a country has built to defend itself? Or perhaps their military spending budget? Considering the aforementioned factors, resources like Global Fire Power, The Credit Suisse Report, and Nation Master, have allowed us to rank worldwide military powers with a good level of certainty. Read on to see which countries made the list of the most powerful in the world, leading up to the strongest. A few of them will definitely surprise you. See which small island country has more than 1.6 million soldiers in reserve. For a country with just 30 million people, the military at Peru is rather sizeable with 100,000 active personnel and 268,000 reservists waiting to serve at a moments notice. Peru features an active air force that includes combat fighter jets, along with attack helicopters, attack aircraft, and air support. The country’s ground support offers 300 combat tanks, armored fighting vehicles, and support from towed and self-propelled artillery along with rocket projectors. The country also offers a small naval source comprised of frigates, patrol craft, corvettes, and six submarines. The military’s budget is just north of $820 million per year. With a population of just 17 million residents, the country of the Netherlands maintained a decent sized military that includes 42,705 active personnel and 10,500 reservists. With a decent sized military force, the country is able to maintain a small number of fighter jets, attack aircraft, 29 attack helicopters, and support transport. The country’s military features 144 battle tanks and relies on armored fighting vehicles and self-propelled artillery for much of its ground support. The Netherlands does not operate an aircraft carrier but features frigates, four corvette warships, patrol craft, and four submarines for additional naval support. The countries military budget is $12.6 billion. With China constantly threatening to invade Taiwan, it’s no surprise the island state has worked hard to increase its military’s strength. The state has 300,000 active soldiers and 1,675,000 soldiers in reserve, plus 815 air vehicles, 102 naval ships, and 2,005 tanks. Military trainees go through strenuous tests before completing military programs. Trainees in the Marine Corps, for example, have to crawl along 50 meters of jagged coral and rocks in the “Road to Heaven” test in Zuoying. Taiwan spends $19.2 billion on its military on an annual basis. If everyone could just be Switzerland this list would be unneeded. The country is home to 8.2 million people and only 21,000 serve in the country’s active military. 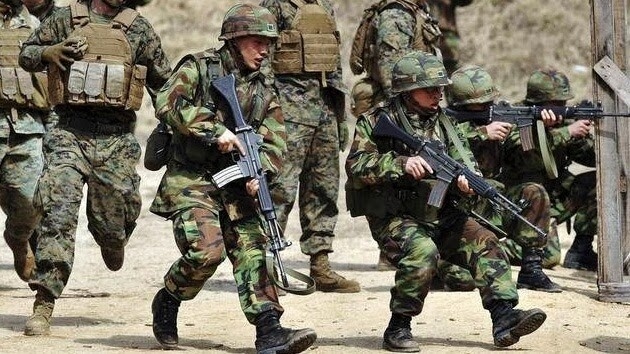 An additional 120,000 people are part of the country’s military reserves. The Swiss maintain a small airborne military that does not include any attack helicopters. The country is home to a small number of fighter jets and attack aircraft that are supported by an equally small subset of air transport devices. The Swiss army is mostly comprised of 224 combat tanks and a larger number of armored fighting vehicles. Given its location, Switzerland does not maintain any type of naval force. $4.1 billion is spent on military expenditures every single year. With just over five million people in the country of Norway, the area features a small military with just 26,500 active employees and 46,000 waiting in the reserves. While the country is small they do operate 57 fighter jets that operate alongside a small subset of attack aircraft, and transport systems. The country does not operate any attack helicopters. The country’s focus on its land support includes 136 combat tanks, armored fighting vehicles, and some self-propelled and towed artillery. Norway’s small navy includes frigate support, mine warfare vessels, and patrol craft and support for six submarines. 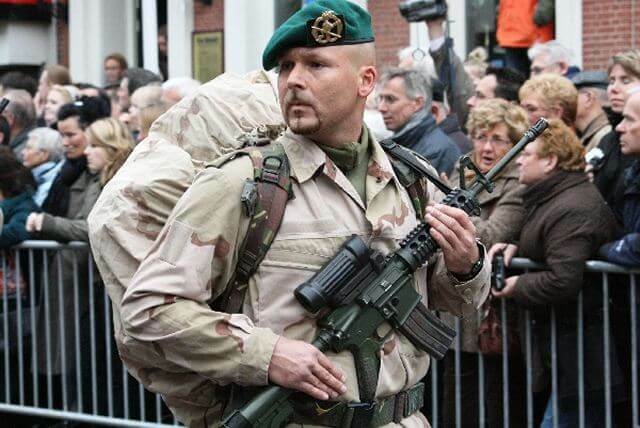 Norway has a military budget of $6.2 billion. The country of Argentina is home to nearly 44 million people but only 75,000 active military personnel support the countries programs with 52,720 waiting in the country’s reserves. The country features 86 fighter jets and a small group of other attack aircraft alongside five attack helicopters. More robust is the country’s ground support which includes 430 combat tanks, armored fighting vehicles, rocket projectors and both self-propelled and towed artillery. Argentina is also home to a small number of navy support vehicles including destroyers, patrol craft, nine corvettes, and three submarines. Argentina’s annual military budget is $5.6 billion per year. Despite Mexico’s population of nearly 124 million people, the country’s military is relatively small with only 273,000 active personnel and 110,000 reserve members. Mexico features 58 fighter jets and a handful of other attack fighters. The country is focused on transport aircraft and it also lacked attack helicopters. Mexico’s army is comprised of 567 combat tanks and only a handful of armored fighting vehicles. The country does operate some towed and self-propelled artillery. While Mexico does not own an aircraft carrier, the country’s military is responsible for operating and maintaining frigates, mine warfare vessels, patrol craft, and seven corvettes warships. Mexico spends $10.07 billion per year on military assets. The population of Malaysia is nearly 31 million and the military force includes 110,000 active personnel and 310,000 reserve personnel. 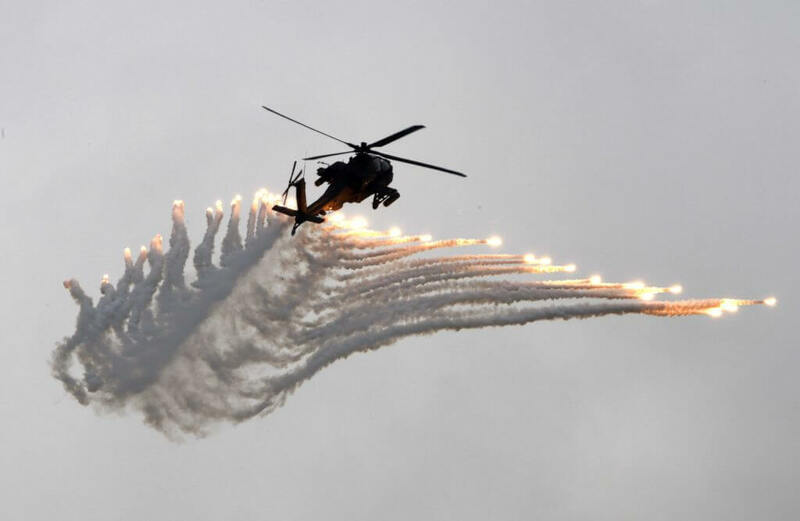 Malaysia maintained a small fleet of 44 fighter jets and a handful of attack helicopters which are assisted by a limited amount of air support and trainer aircraft. The country is more focused on 64 combat tanks and armored fighting vehicles alongside towed artillery and rocket projectors. Malaysia doesn’t operate any aircraft carriers but is supported by sea thanks to a handful of frigates, four corvettes, two submarines, patrol craft, and mine warfare vessels. The country’s military budget is $4.69 billion annually. 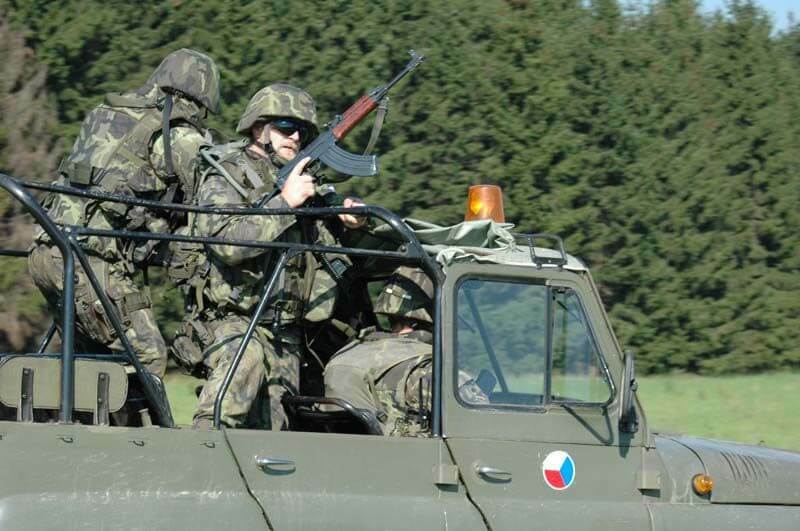 With 10.6 million people in the country, the Czech Republic features a very small military with only 29,050 members of which 22,000 are part of the areas active military. The Czech Republic features a small number of fighter jets, attack helicopters and air support vehicles that include 31 fighter jets and 24 attack helicopters which are maintained by a handful of military employees. Most of the country’s efforts are focused on 123 combat tanks, armored fighting vehicles, and self-propelled and towed artillery. This landlocked country which is positioned between Germany and Slovakia does not have a navy force. The countries total military spend each year is $1.16 billion. 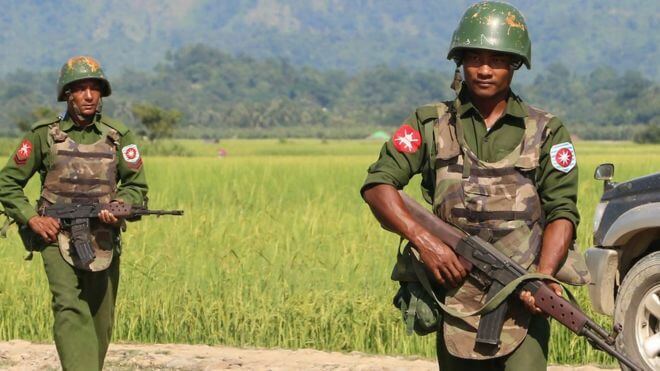 With a population of nearly 57 million the country of Myanmar has a relatively small military with 406,000 active personnel and 110,000 people in the reserves. In terms of air power, Myanmar features 128 fighter jets, various attack aircraft, 10 attack helicopters, and support transports. The country’s ground support is much stronger with combat tanks, armored fighting vehicles and a larger number of self-propelled and towed artillery options. The country also offers rocket projectors which are lacking even in some military powers that are ranked higher than the country’s own armed forces. 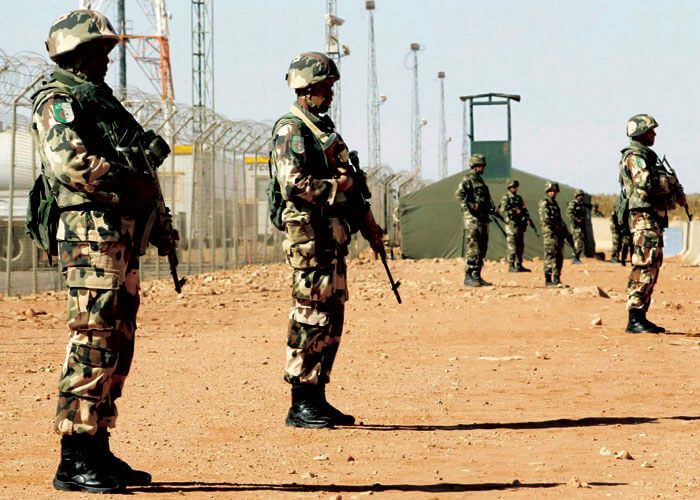 The country’s military expenditure is $7.07 billion per year. With a population of 44.2 million, the military force of the Ukraine is impressive in its own right. The country is home to 1.2 million military personnel of which only 182,000 are active military. The country maintained a server of one million. The Ukraine features an active airborne division that includes 188 fighter jets, alongside attack helicopters, transport craft, and trainer vehicles. 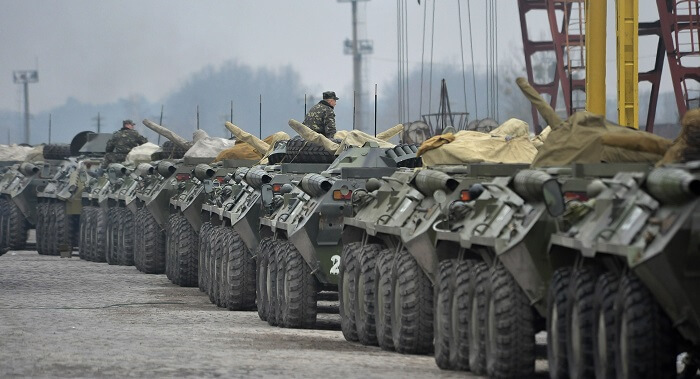 The country’s ground support is much larger with a focus on 3,784 combat tanks and armored fighting vehicles alongside towed and self-propelled artillery. The country’s navy is nearly non-existent with only a handful of frigates, patrol craft, and mine warfare vessels and a single corvette warship. The military budget for the country is $2.07 billion. Sweden is a neutral country with a population of just 10 million people. With the support of allies around the world, the country has not placed an active emphasis on its military which features just 43,875 personnel of which 21,875 are active in the country’s armed forces. 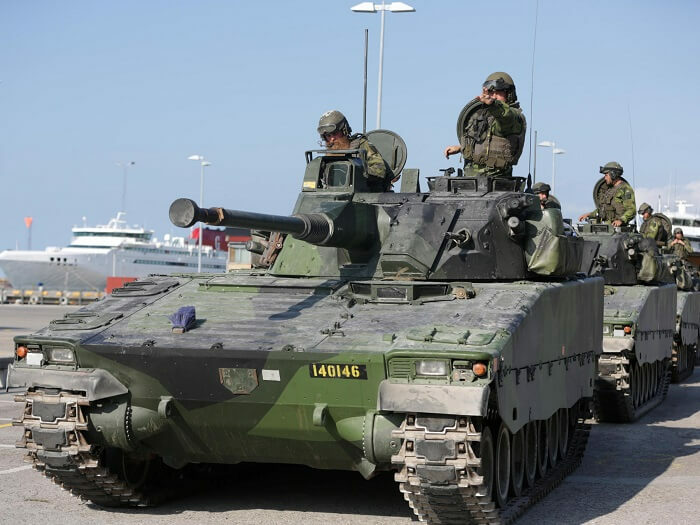 Sweden’s military is mostly air focused with 138 fighter jets and attack helicopters that are supported by a small amount of air transport vehicles. The country also features a small group of 160 combat tanks and armored fighting vehicles but is not supported by towed or self-propelled artillery. Sweden’s navy doesn’t include any aircraft carriers but the country does operate a submarine division with five subs. Also featured in Sweden’s navy is nine corvettes. 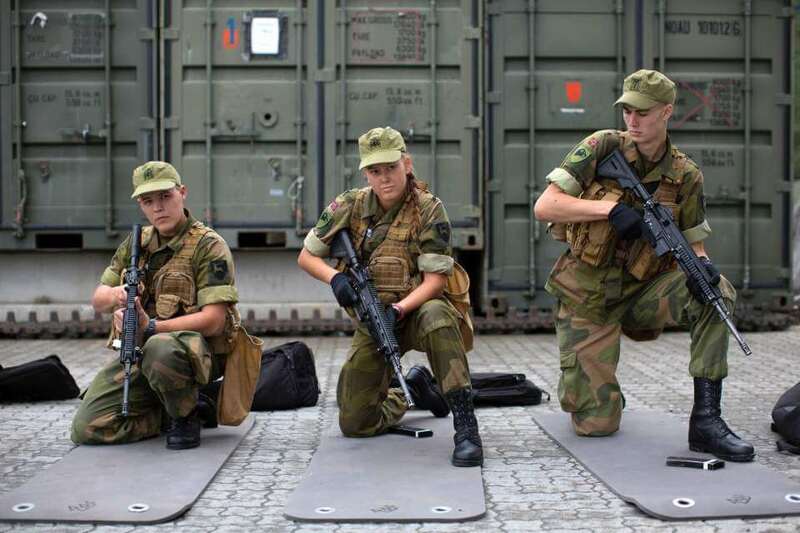 Sweden’s armed forces budget is $6.7 billion. 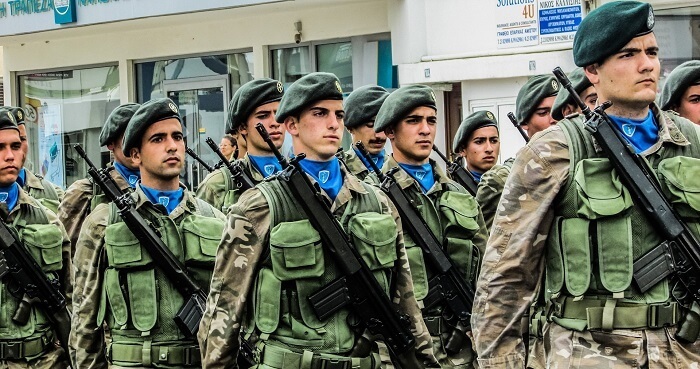 With a population of less than 11 million, Greece has a surprisingly large military that includes 413,750 members of which 161,500 serve in the country’s active military. There are 308 fighter and attack aircraft in Greece and the country operates 29 attack helicopters alongside some transport aircraft and trainers. Ground support is a main focus of the Greece military which operates 1,244 battle tanks, and a good number of armored vehicles, and self-propelled and towed artillery and rocket projectors. Despite its proximity to open waters, the country does not operate any aircraft carriers, although it does feature 11 submarines that help protect the region. The country’s budget is $10.39 billion per year. 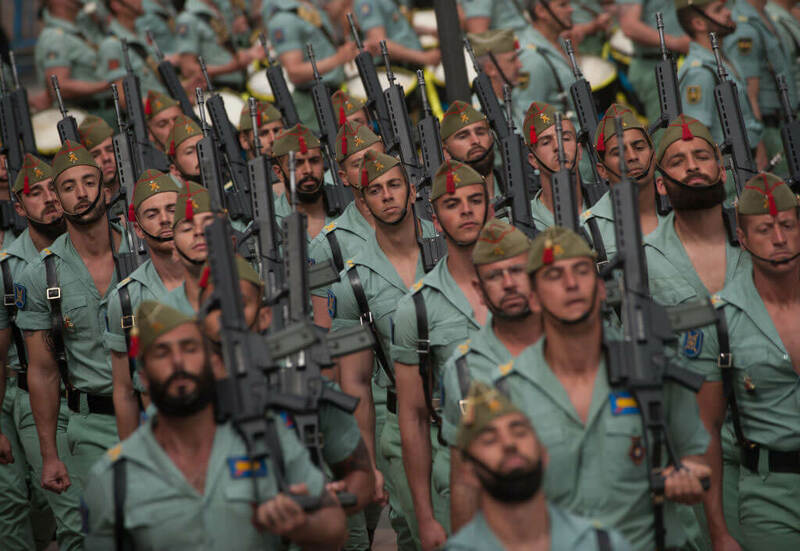 There are nearly 49 million people living in Spain but this friendly country has not built up the military strength of some countries with smaller populations. There are only 170,000 military personnel of which 124,000 serve in active full-time roles. Spain has a small air force that features 151 fighter and attack jets along with six attack helicopters, and transport aircraft. The country also operates combat tanks that number 552, along with armored fighting vehicles, and self-propelled and towed artillery. Despite its small size, the country also operates an aircraft carrier, four submarines, and patrol aircraft. Its navy also features mine warfare vessels and frigates. Spain spends $25.5 billion annually to maintain its military machine. Although Canada is a considerably larger than the United States in terms of land mass, the country has just 1/10th of the population. And of the 36 million people who live in Canada, just 79,000 are active military personnel. But despite those numbers, Canada ranks among the strongest militaries in the world. In addition to having 111,000 total military personnel, they have roughly 426 air crafts, 181 tanks, and four submarines. Despite its powerful tools and technologies, Canada takes a peaceful approach. In fact, the country was awarded the Nobel Peace Prize in 1988 in recognition of the efforts over the years to help restore peace to war-torn countries. Canada’s annual military budget is $21 billion per year. Algeria features a population of just over 40 million people with a military of just under 800,000 people. The country’s active military is 420,000 strong with the rest of the military server in reserve roles. Algeria is home to combat fighter planes and 134 attack helicopters. The country focuses much of its efforts on a ground support including 1,105 combat tanks which are supported by armored fighting vehicles and both ground-to-ground and ground-to-air support. Algeria doesn’t operate any aircraft carriers and focuses on four submarines and eight corvette warships. The countries military budget is $4.99 billion per year. With a population of just over 28 million, Saudi Arabia offers a relatively small military presence with 256,000 personnel of which 231,000 are active military. 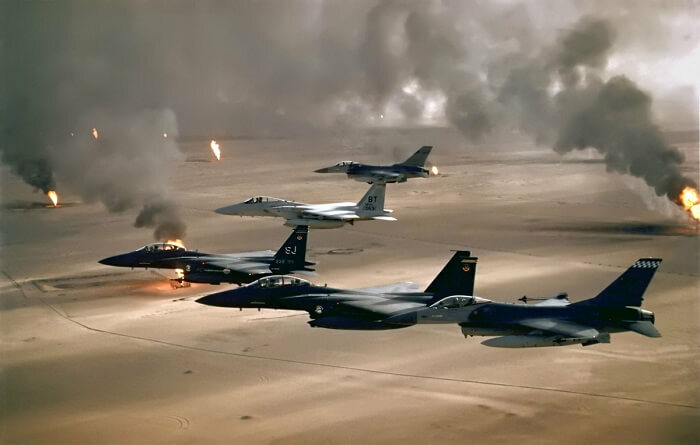 To maintain its presence in the Middle East the country operates 287 combat fighter aircraft, most of which have been acquired from the United States military complex. Attack helicopters and fighter jets are among the countries forces. 1,055 combat tanks and additional armored vehicles are the primary ground force mechanics for the country’s military, although they also operate towed and self-propelled artillery. The Saudi Arabia military is largely non-existent with only a few patrol craft and four corvette warships. Saudi Arabia spends $39.2 billion on defense each year. North Korea has a military presence of 6.4 million people which is incredibly large for a country with a population of 25 million. 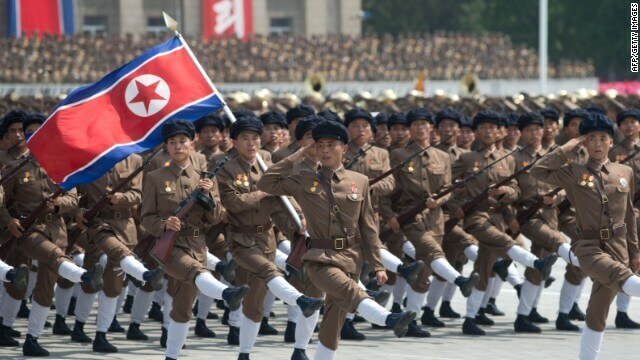 At any given time 945,000 active military personnel are working for the North Korean government. North Korea’s capabilities keep growing with the recent realization that the country has developed nuclear capabilities. The country is home to 661 fighter jets, and a handful of attack helicopters, and other forms of air power. The country also operates 3,500 combat tanks, and utilizes self-propelled artillery, and rocket projectors, among other technologies. North Korea features a growing Navy but lacks aircraft carrier technology, although it does feature 13 frigates and 70 submarines. The country’s annual budget is unknown but is believed to be an astounding 22% of the country’s gross domestic product (GDP). Fun fact: in the 1930s, the Australian military waged war on the emu population of West Australia and lost. But despite this embarrassment, Australia has one of the strongest militaries in the world today. Australia and the United States are similar in size, yet Australia’s military is comparatively tiny. In fact, the country has just 58,000 active members and an additional 44,240 left in reserve along with 408 air vehicles, 59 tanks, and 52 ships ready for battle. In many areas, Australia’s military is much weaker than other countries, but thanks to the land down under’s attack helicopters and submarines, it gets high rankings. $26.9 billion is spent on Australia’s military every single year.